Chess is one of the world's most popular board games but still there are some dispute about its origin. 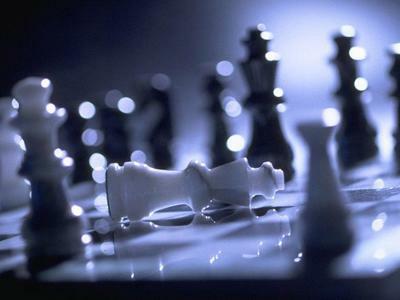 There is no firm evidence to clearly state the origin of chess. As per most of the historians who involved in this research it is believed that the game had its origin in Persia and India as early as 600 AD, but many others also believe that it originated in China before spreading into the western countries. Historians too found that the form of chess played in 700 AD probably would be very different to modern game of chess, so people account that it was from China as chess from China was very much different in game strategies though the main idea was the same. H.J.R. Murray in his voluminous work says that history of chess can be traced back by way of Arabic to Middle Persian and adds that the name of the game in most of the European languages chess in English, echecs in French, scacchi in Italian can be traced back, through the Latin plural 'scaci' meaning chessmen in the Arabic.